Iceland Collection looks interesting). Despite the fact that I had purchased the polishes on two separate occasions, I now see the correlation of their names to New Orleans. I'm Sooo Swamped! is a bright (yet muted) grassy-green creme. The lacquer just about applies itself; it's 99.5% opaque in one coat, with a creamy, glossy finish that last an entire week! I should have just copied and pasted (and, I kinda did) what I wrote about I Manicure for Beads because the formula, application, finish and wear are identical. 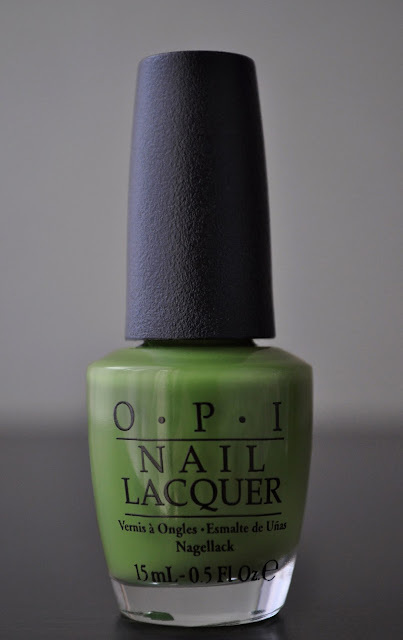 Another remarkable five-star nail lacquer from O.P.I, I'm Sooo Swamped!is a lively and attractive color for Summer. 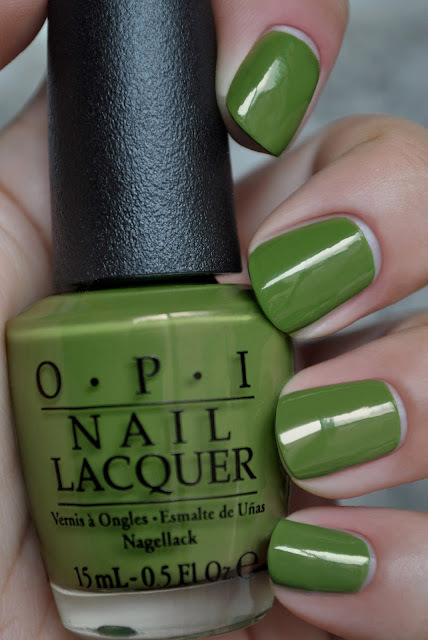 Love, love, love this shade! I'd love to see a post on your step-by-step tips for such a gorgeous manicure! Suzy. do you own this polish? If not, GET IT! I've been meaning to do a post showcasing all the products I use to do my manicures. Need to get on it!